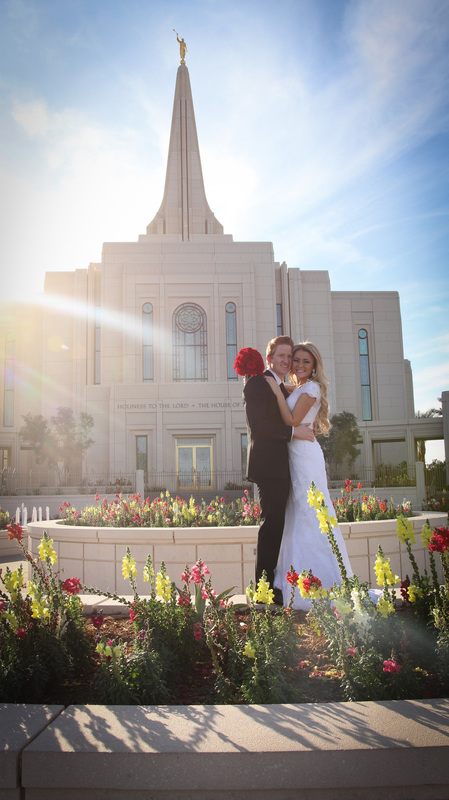 Jake and Hayden have the best story. 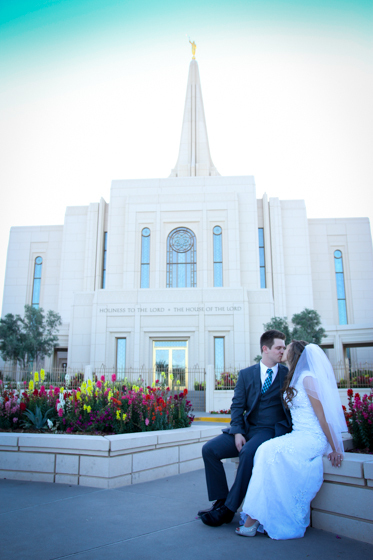 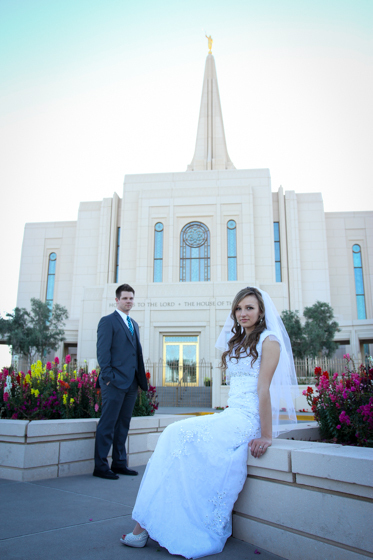 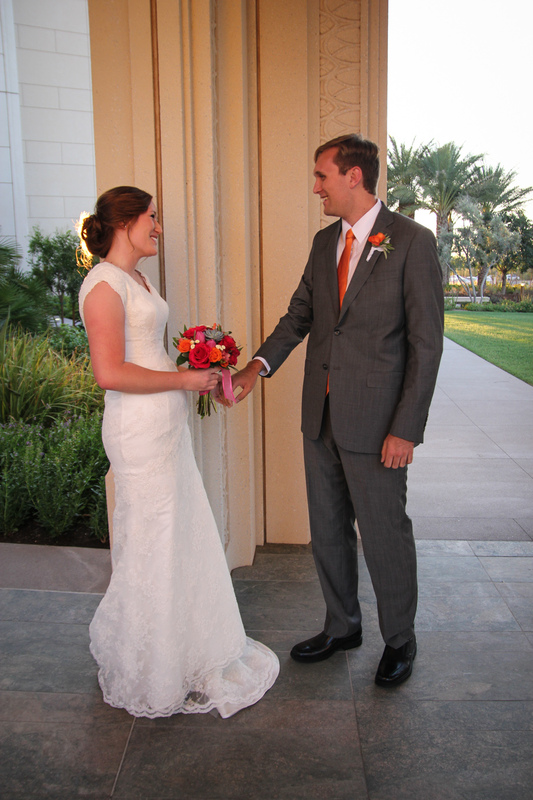 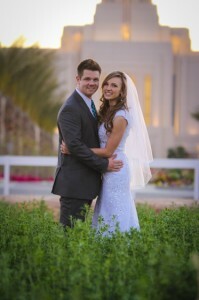 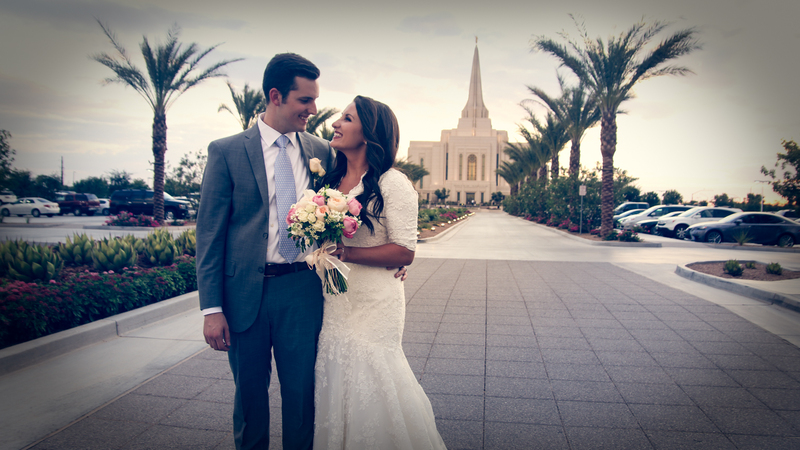 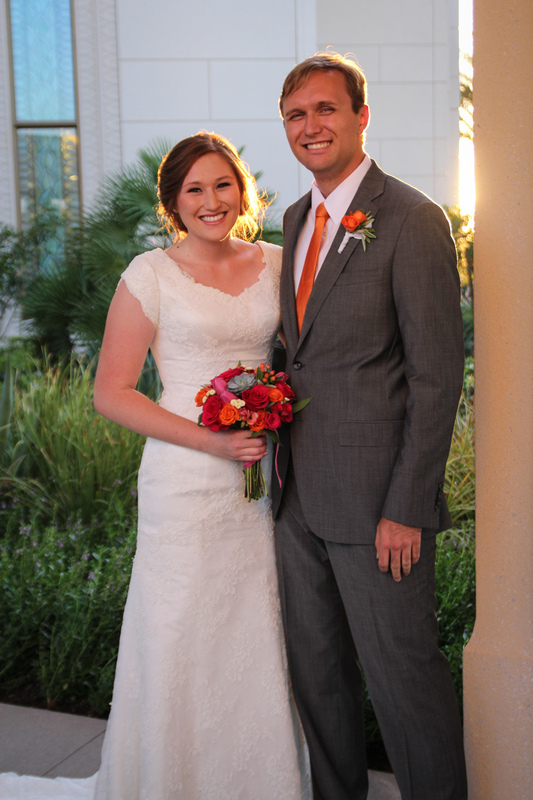 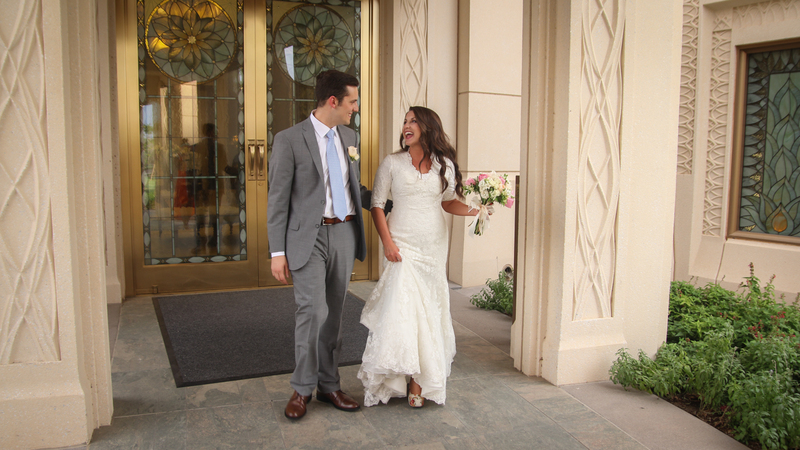 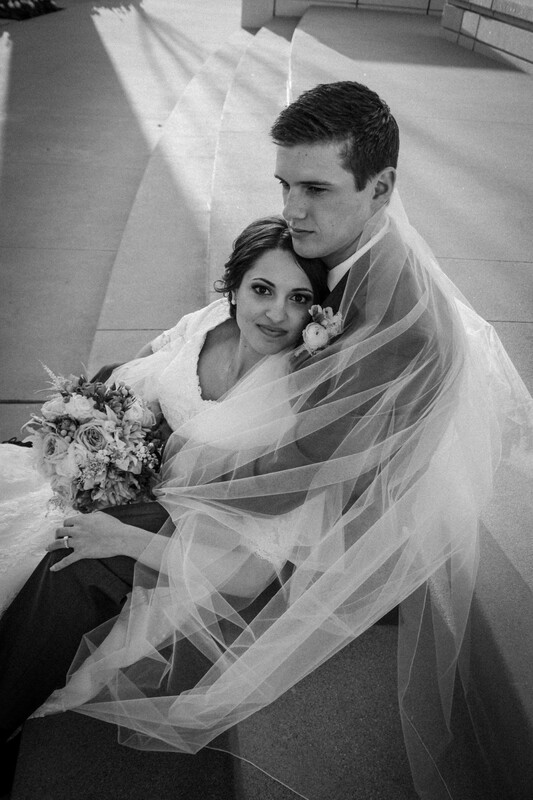 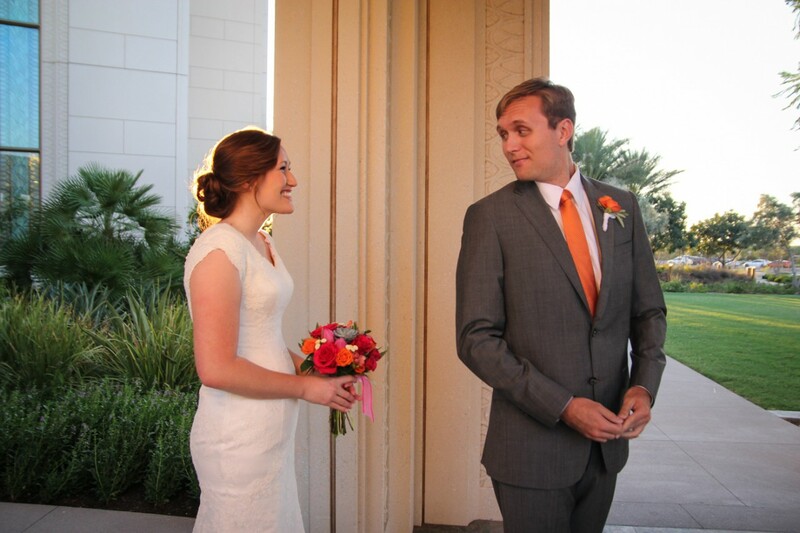 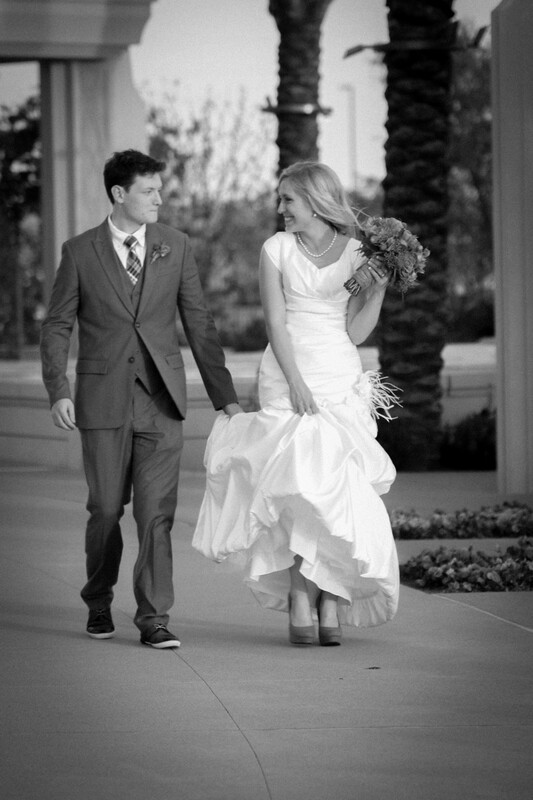 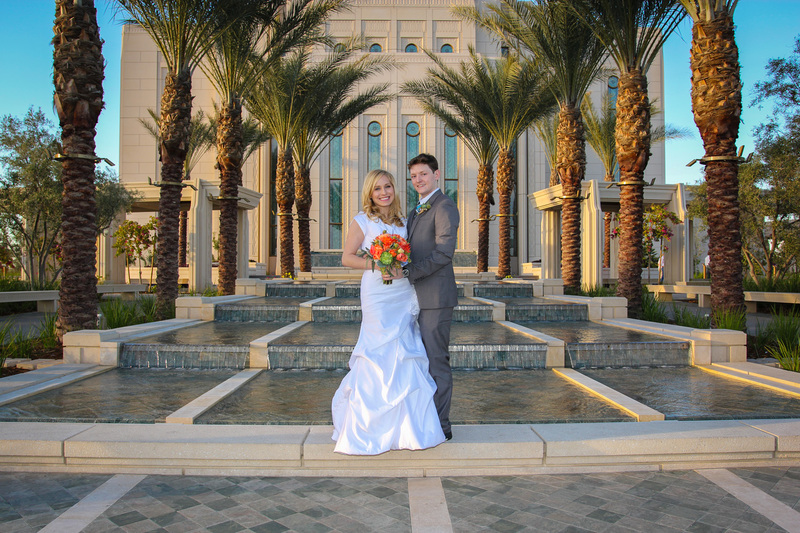 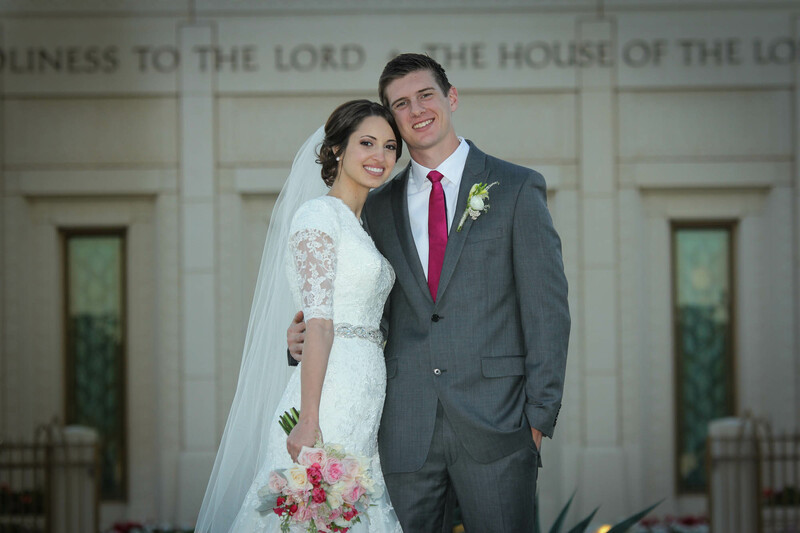 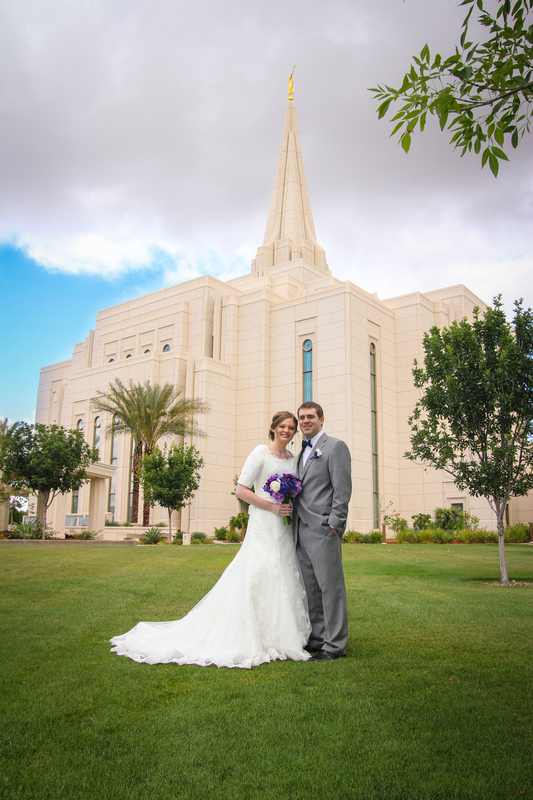 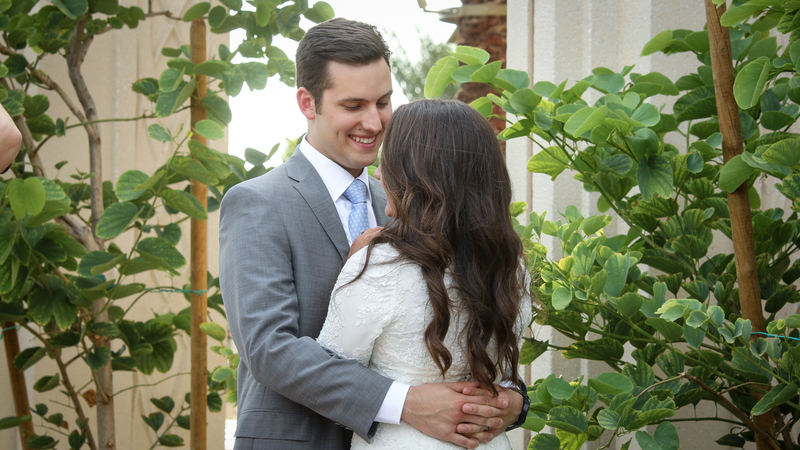 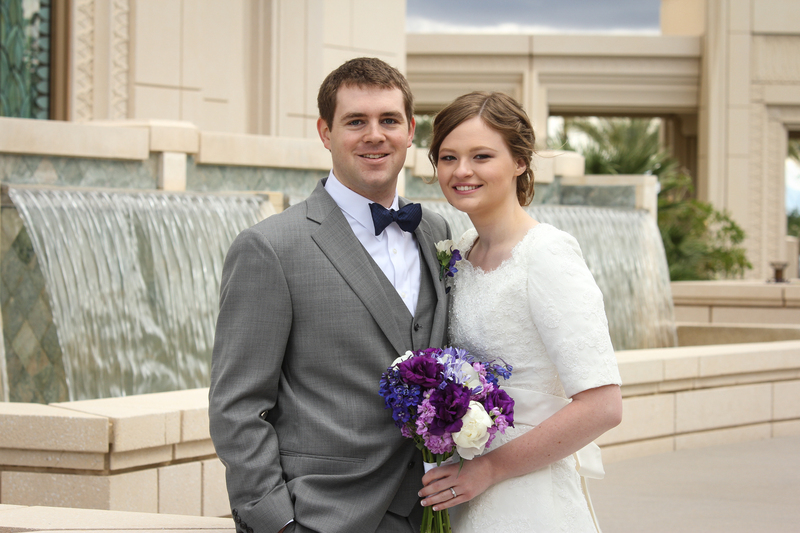 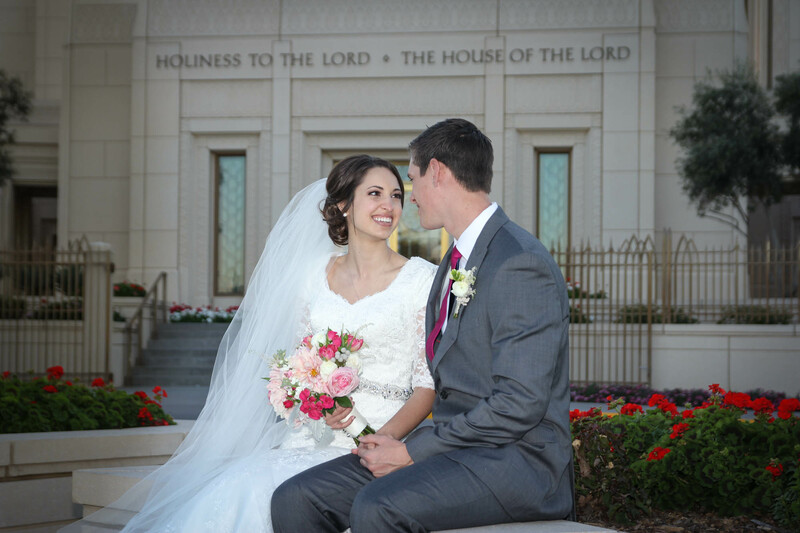 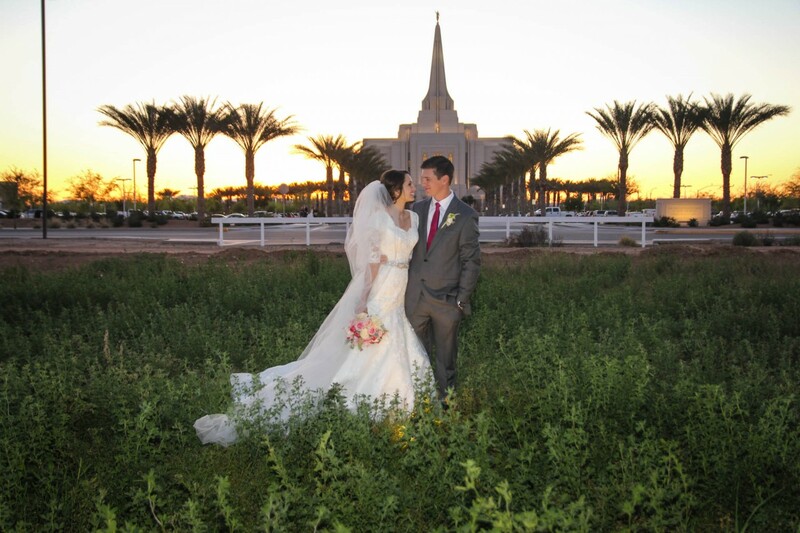 Hayden was actually the very first bride to book me at the Gilbert Arizona Temple. 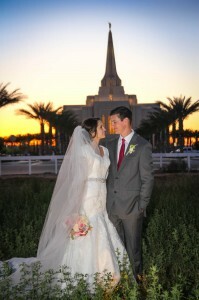 In fact she called me and secured the date 19 months before the Gilbert Temple was even dedicated. 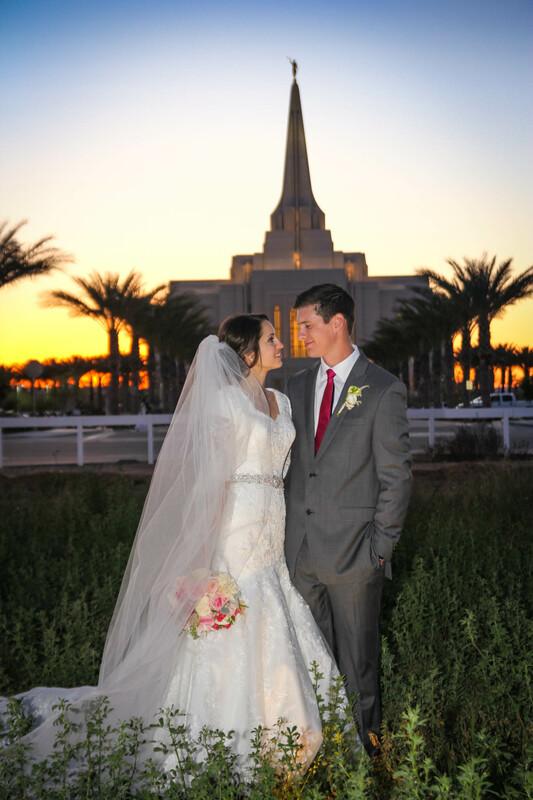 Jake had only been on his mission a few months when she decided on the wedding date 🙂 Jake finished his mission two months ago and now off to the Temple they go for eternity. 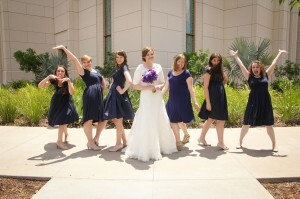 It was so fun working with them. 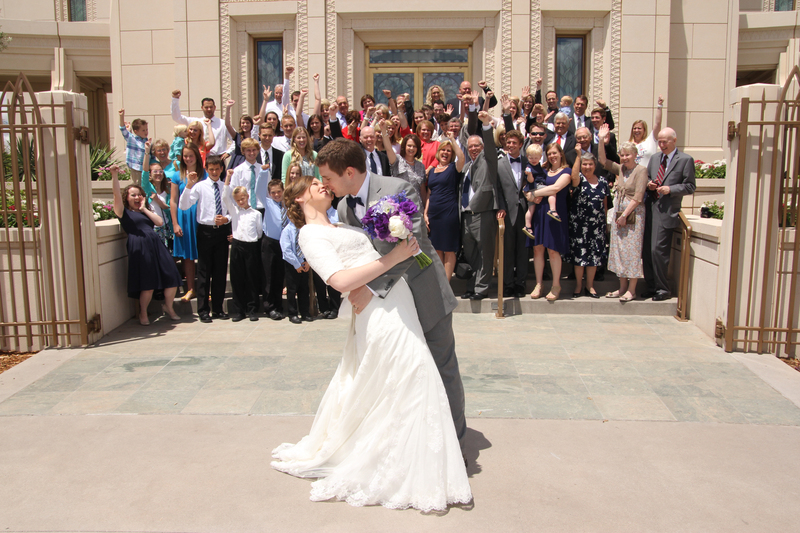 They were so full of energy and excitement. The photos are stunning. 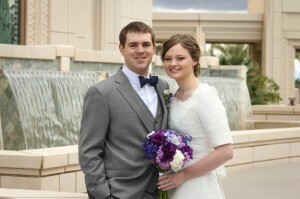 I had a great time working with Bo and America yesterday at the new Gilbert Temple. 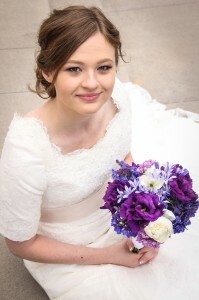 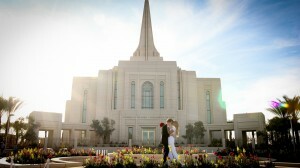 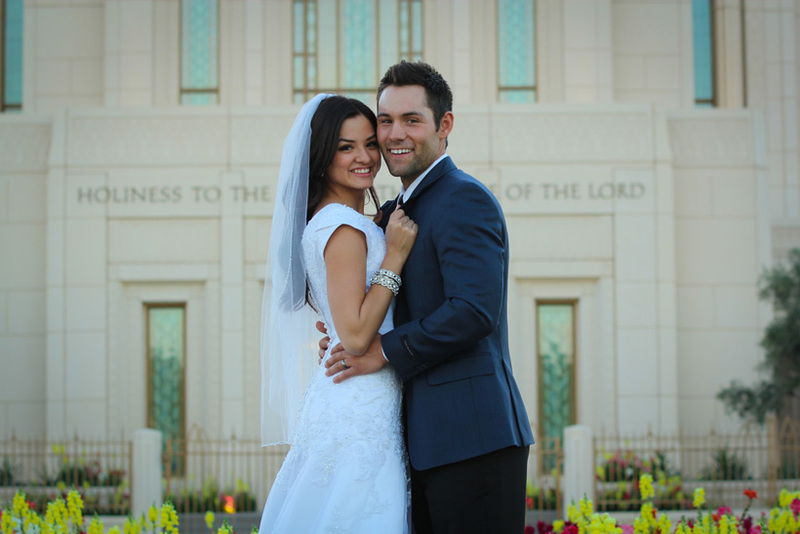 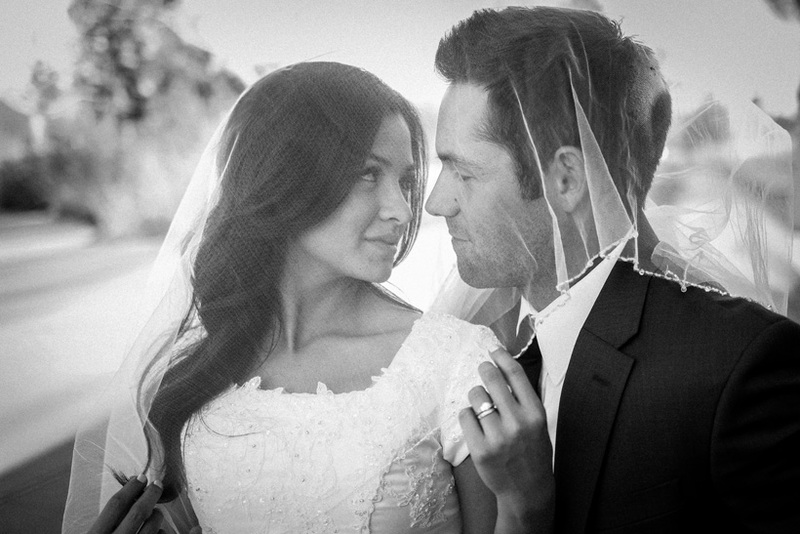 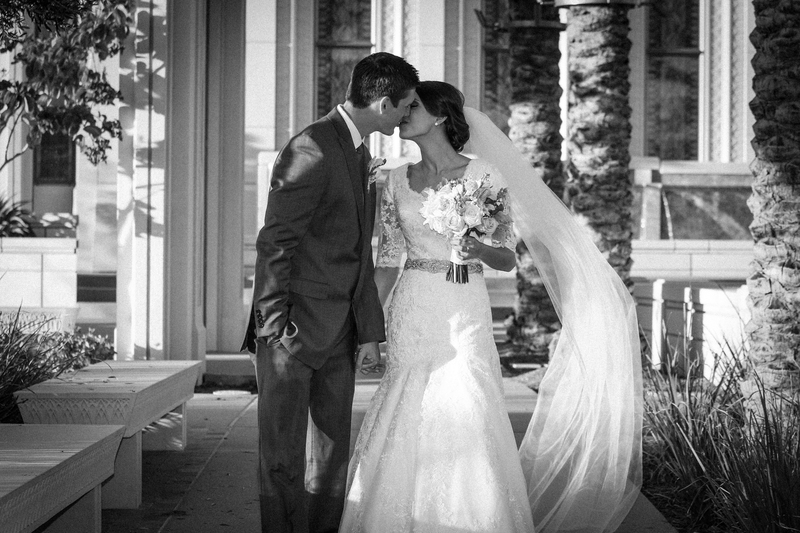 The Gilbert Temple is such a great place for wedding photos. The detail work on the Temple is amazing. 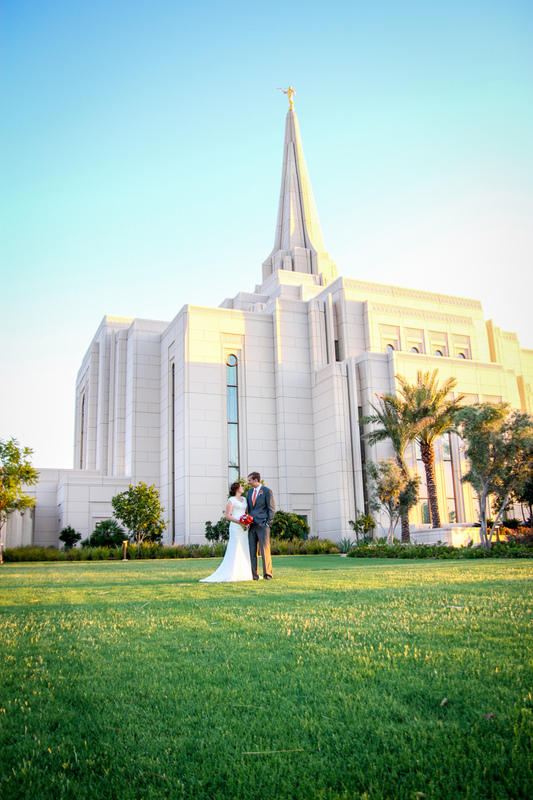 The Temple grounds are just beautiful. 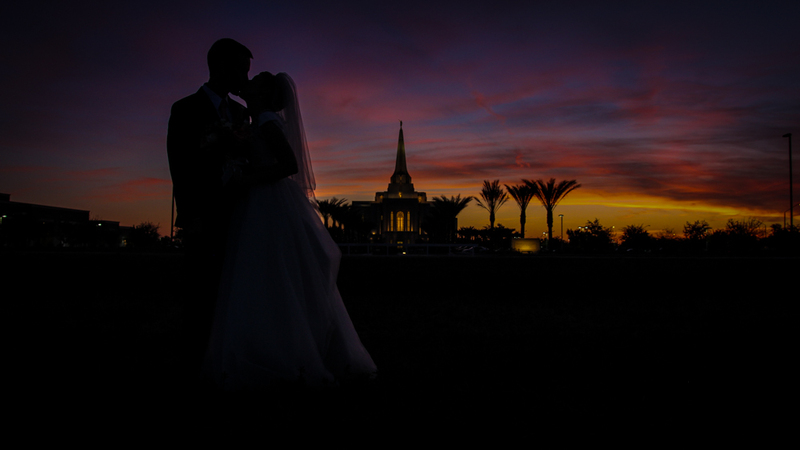 I met up with America and Bo about an hour and a half before sunset. 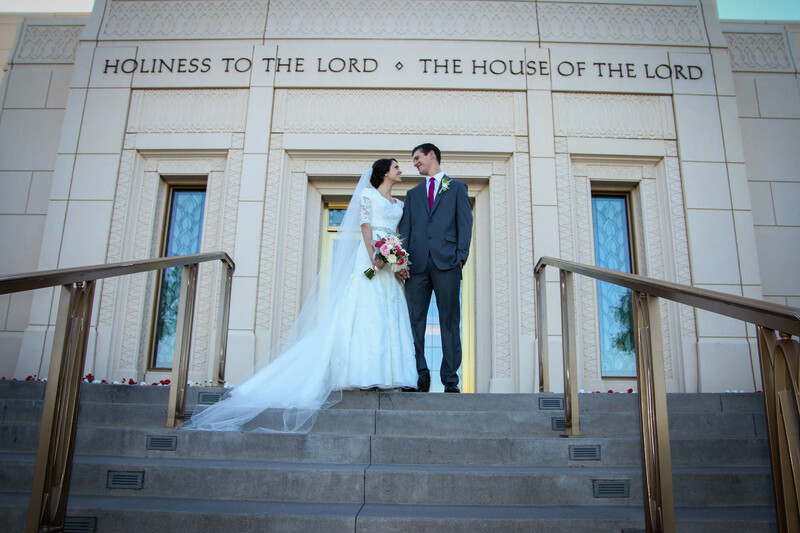 It was a perfect time to get started. 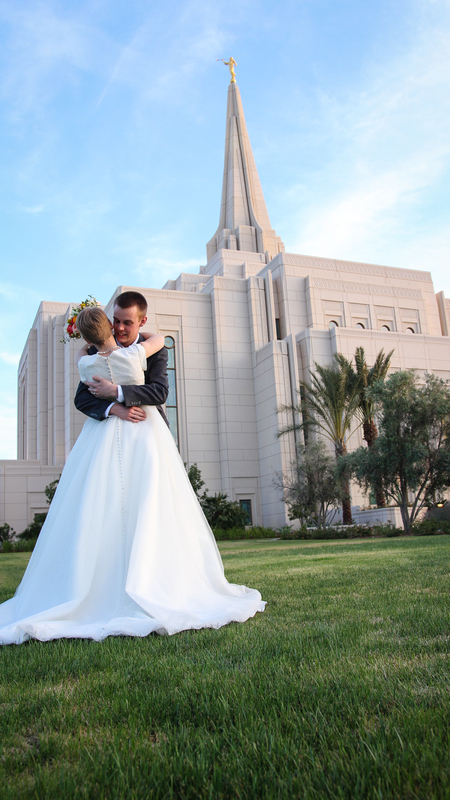 I love going to the Temple on Monday for photos and video as the Temple is closed and it is really easy to get lots of pictures without people in the background. I am definitely getting some favorite spots at the Temple now having taken wedding photos there many times. 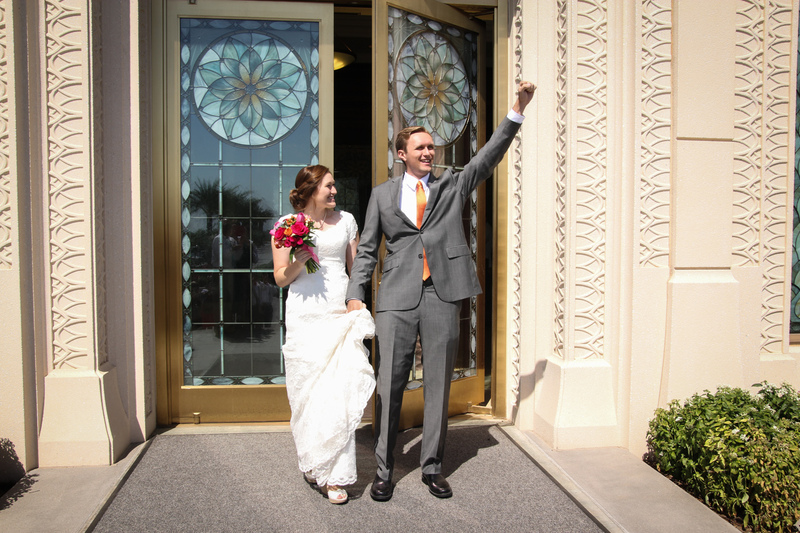 America and Bo were amazing to work with. 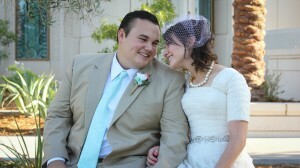 They were so laid back and ready for any shots I came up with. What a great day for wedding photos at the Gilbert Temple. 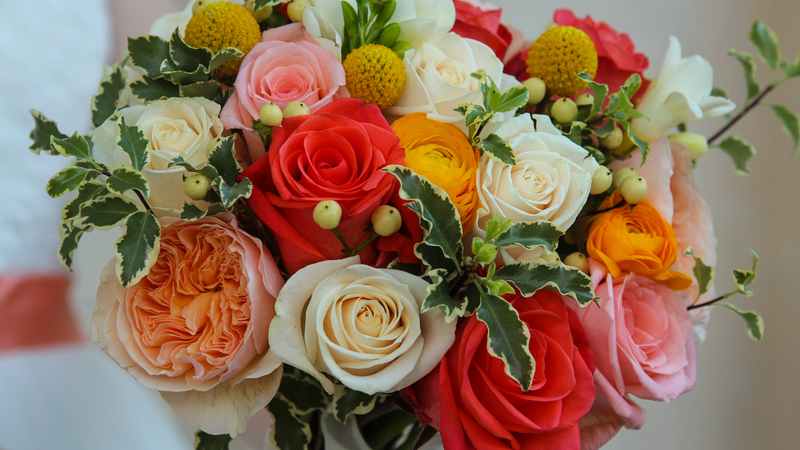 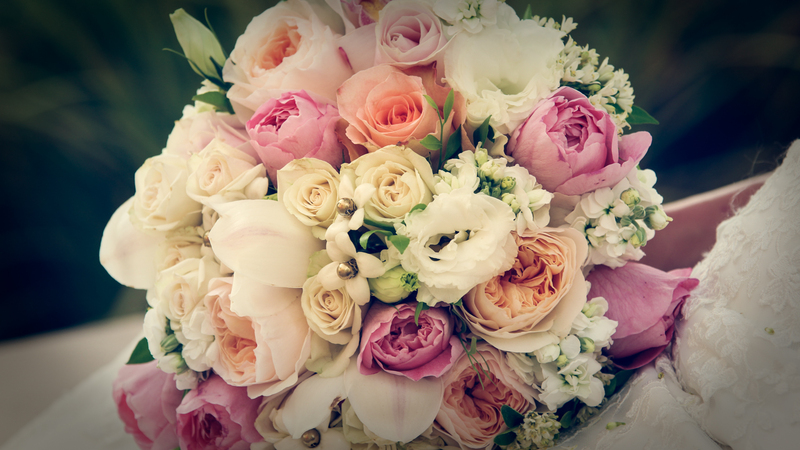 They will be married there this coming Saturday. On Friday afternoon I got together with Keara and Mason at the new Gilbert Arizona Temple. 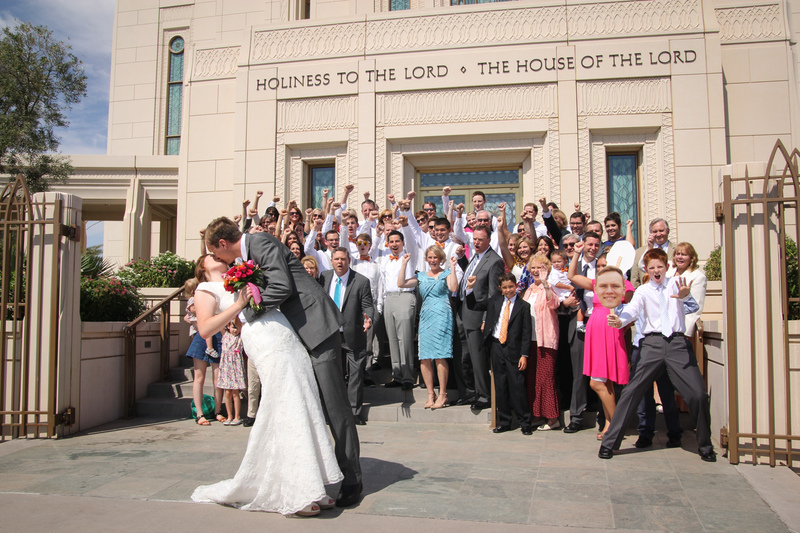 This was my first time to meet them. 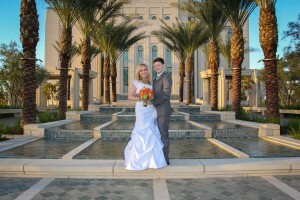 We had a great time exploring and taking pictures on the newly completed Temple grounds. 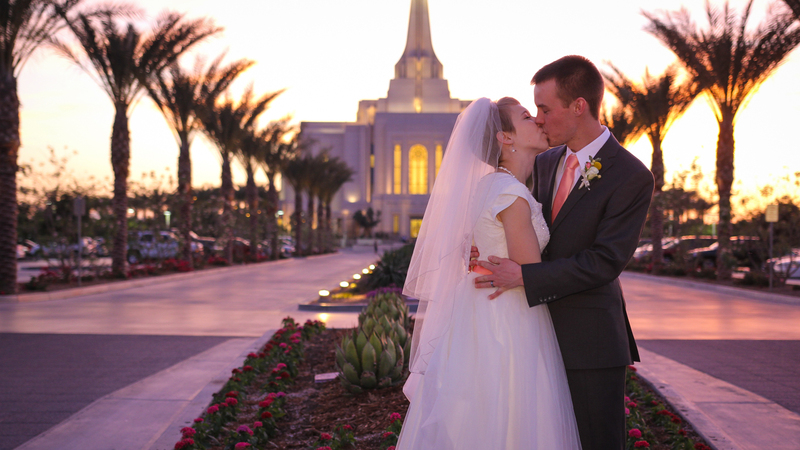 Wow, the Gilbert Temple grounds are just beautiful. 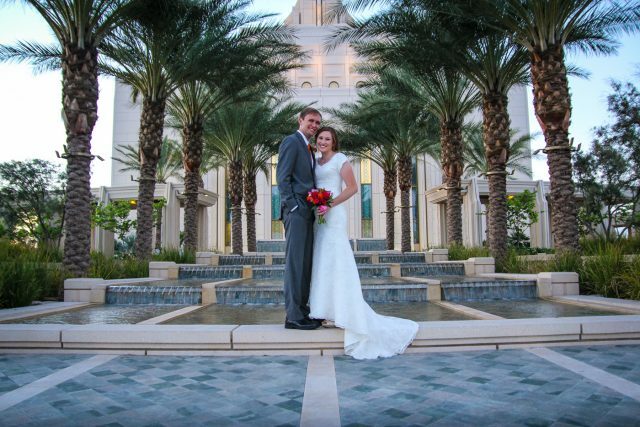 We started out at the main entrance to the Temple and worked our way around to the water feature then off to the field to the East of the Temple. 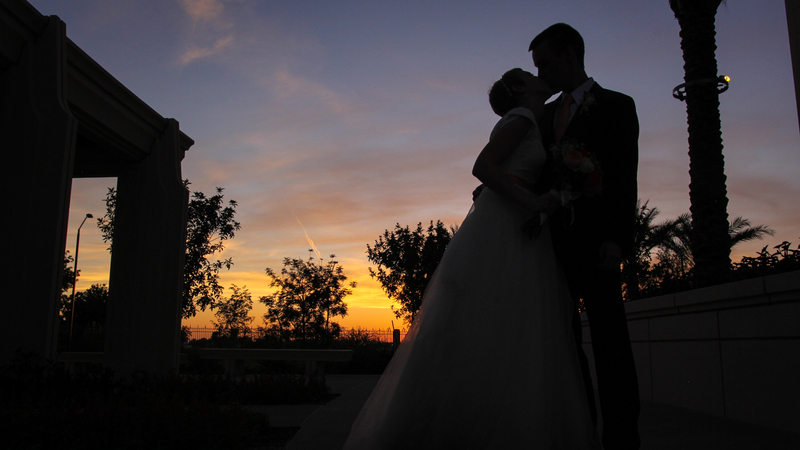 I love that spot off in the distance at sunset. 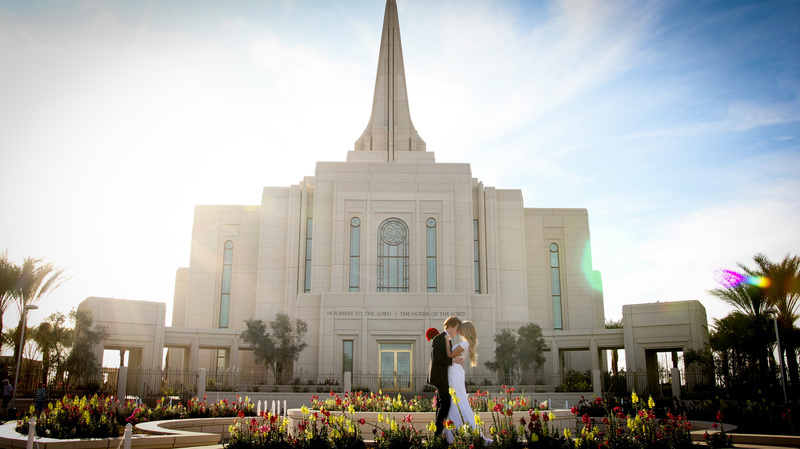 The images are incredible. 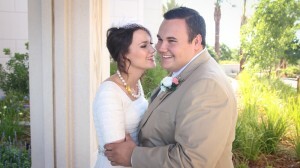 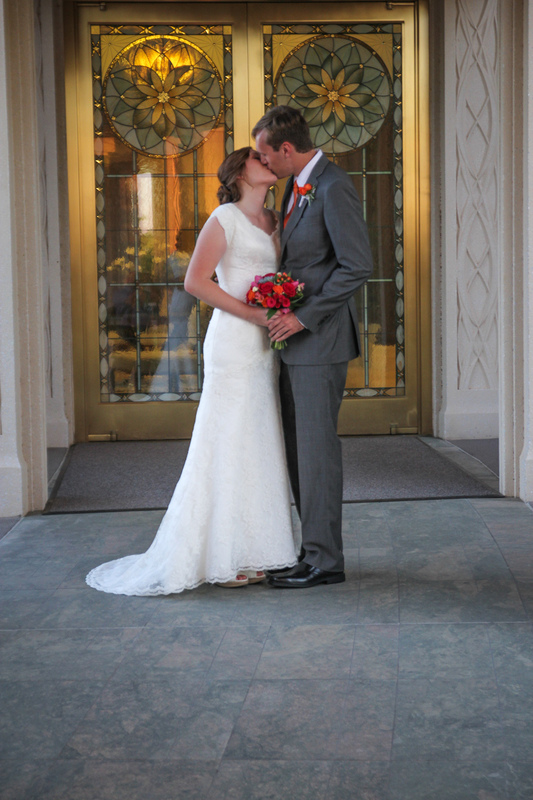 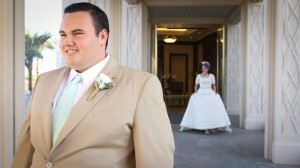 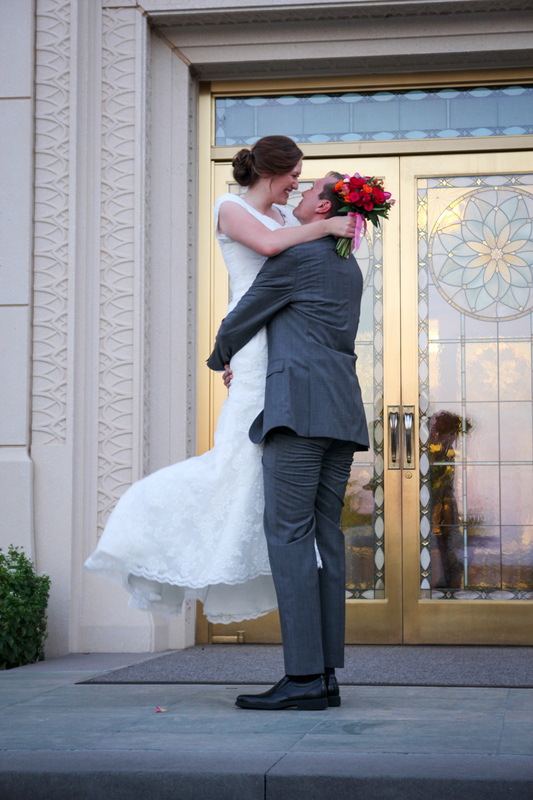 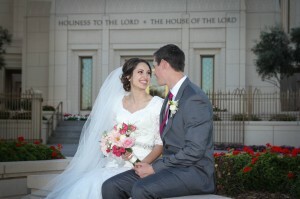 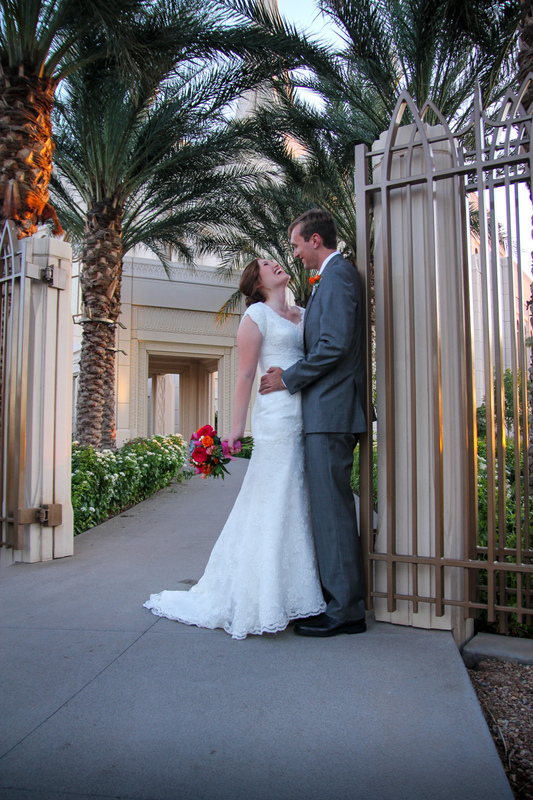 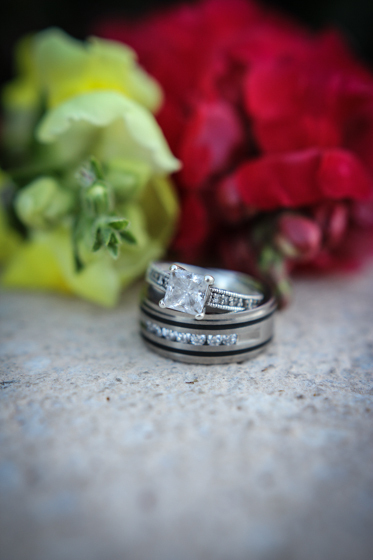 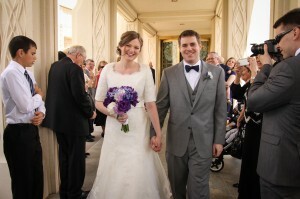 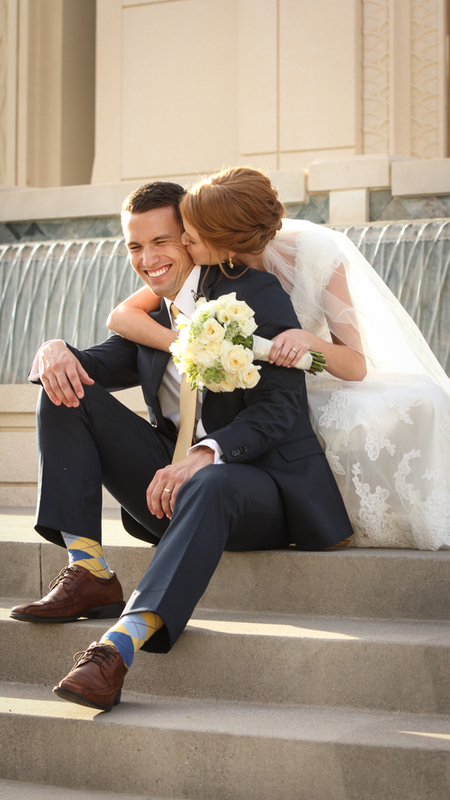 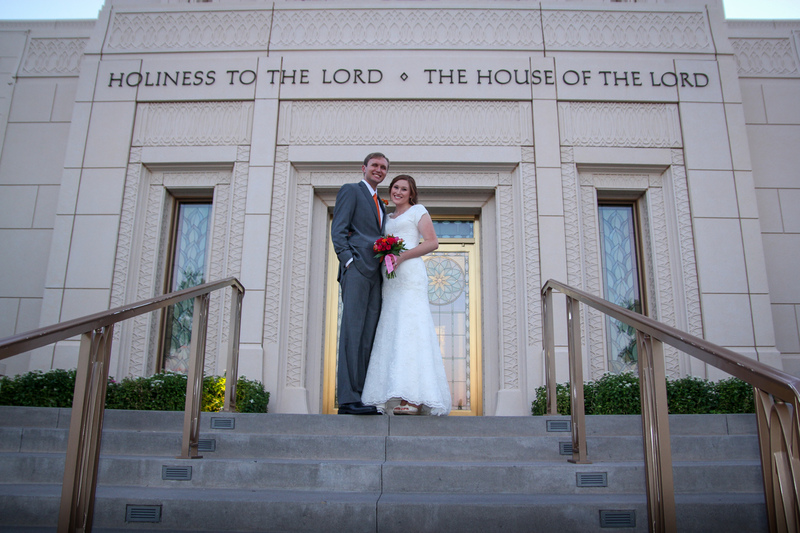 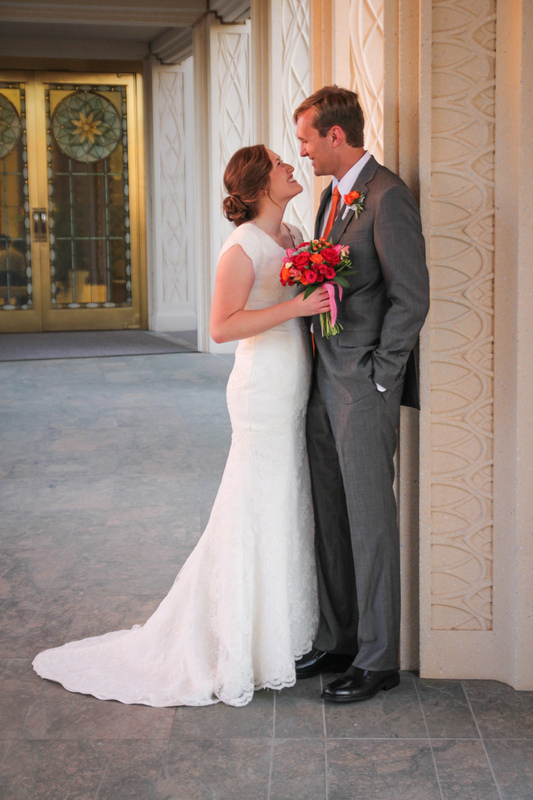 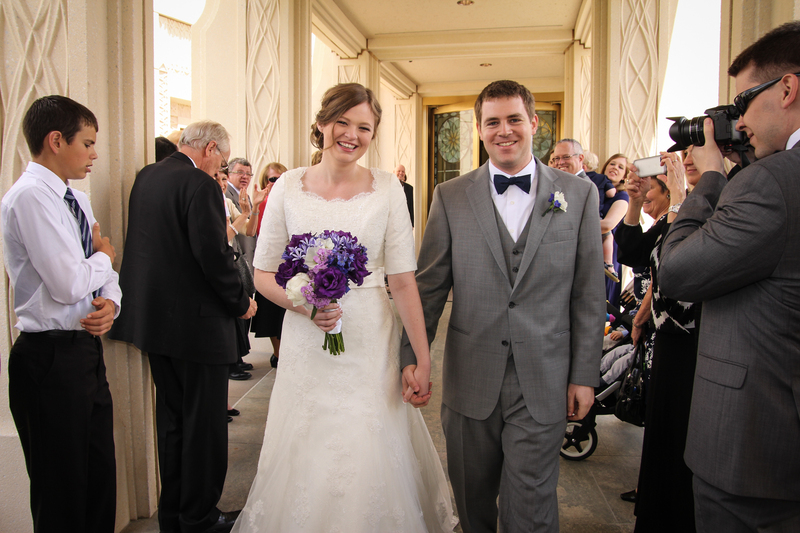 Thanks to Keara and Mason for letting me be a part of their wedding photography at the Gilbert Temple. Contact me anytime to make arrangements for me to be your photographer. 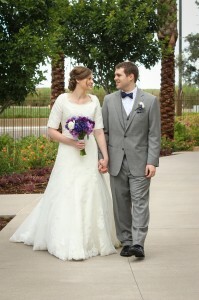 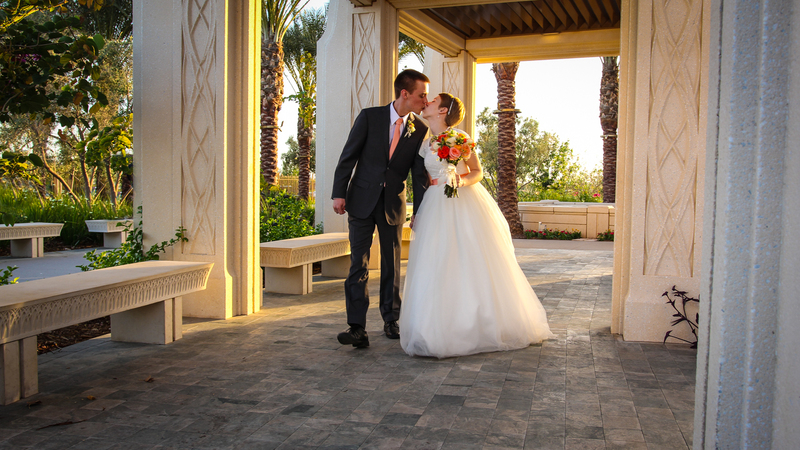 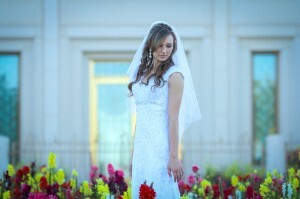 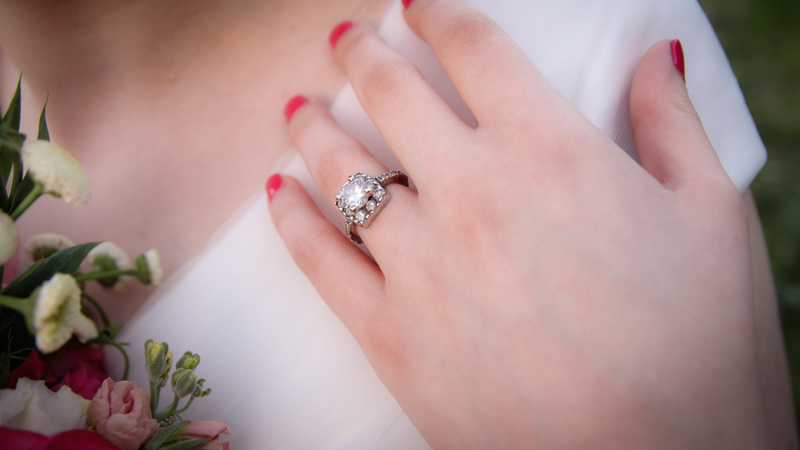 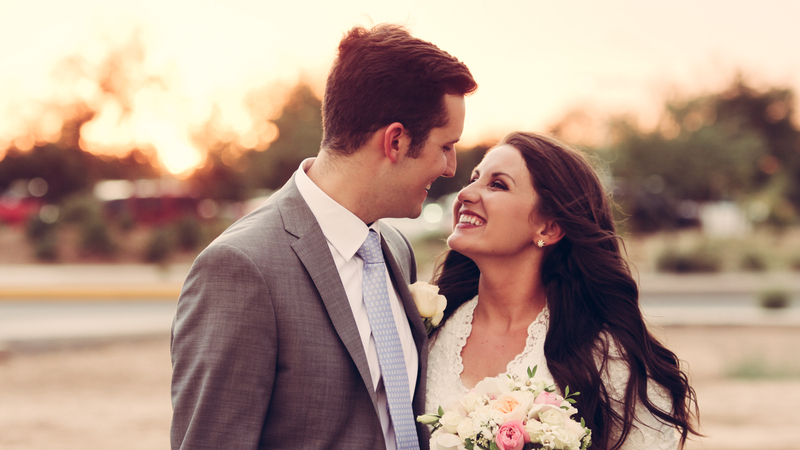 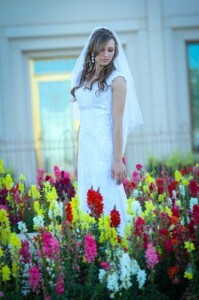 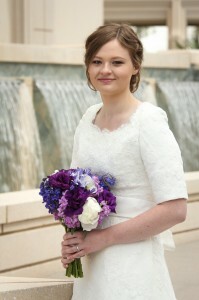 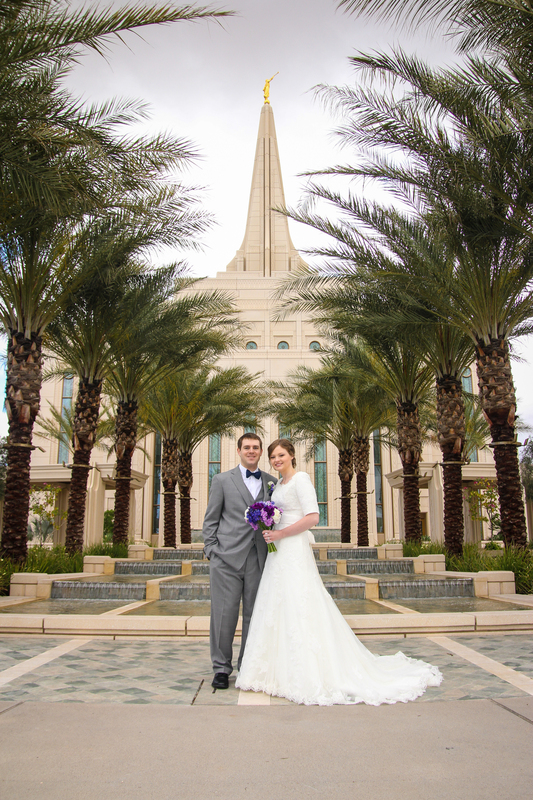 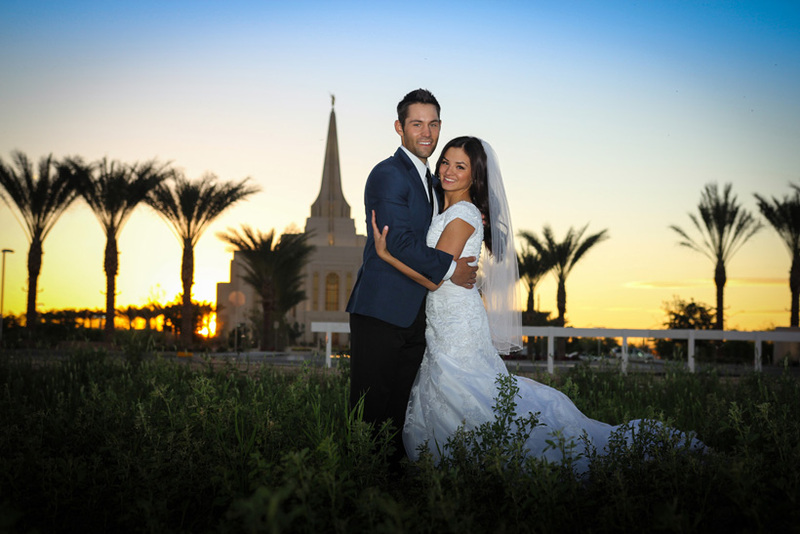 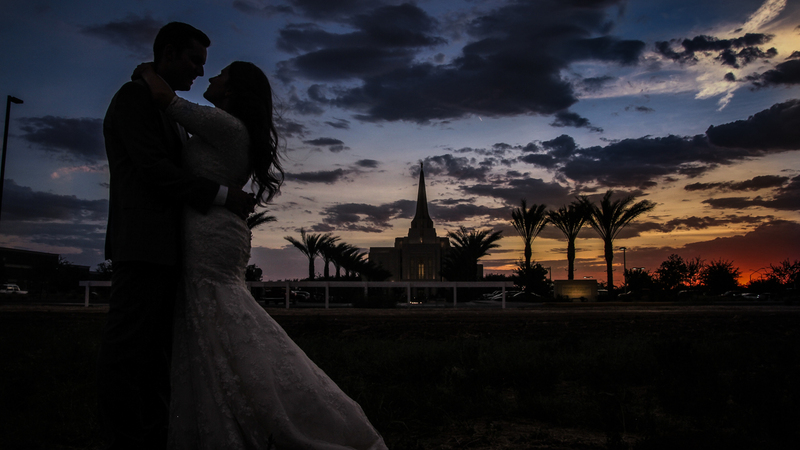 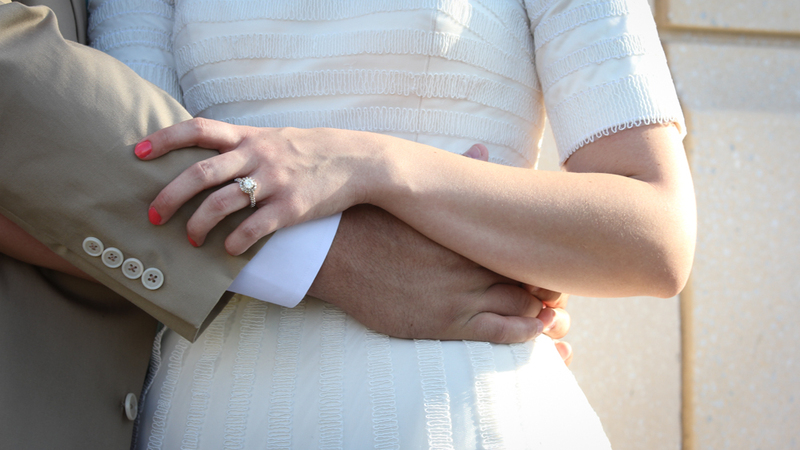 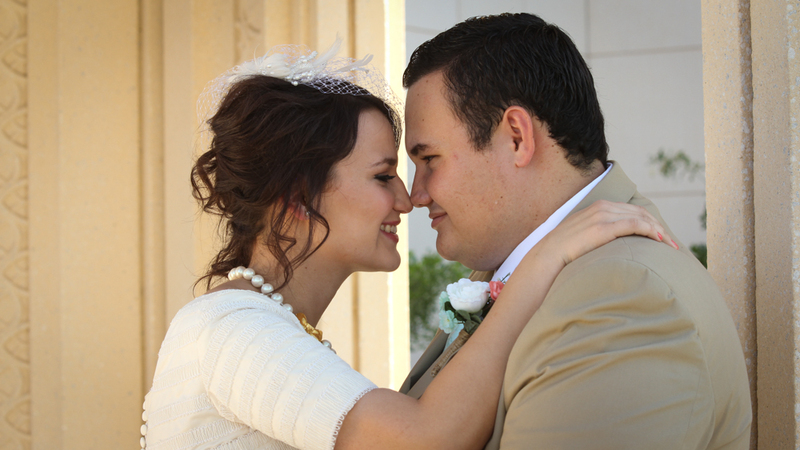 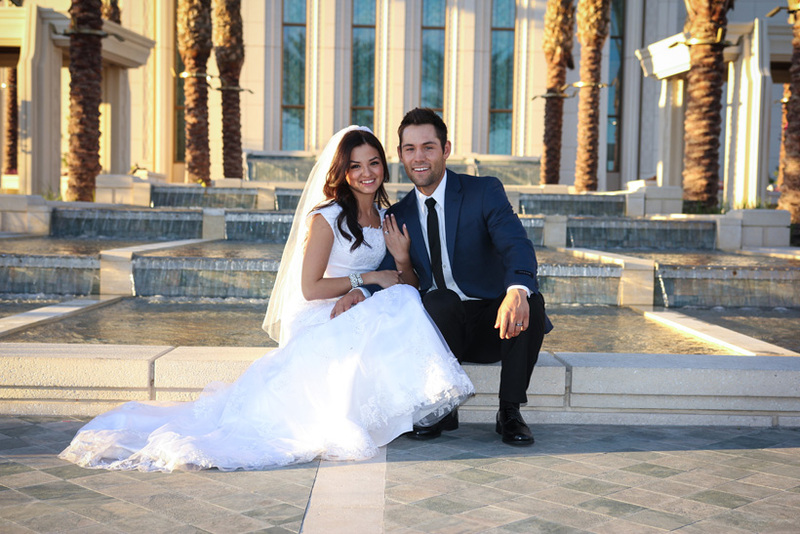 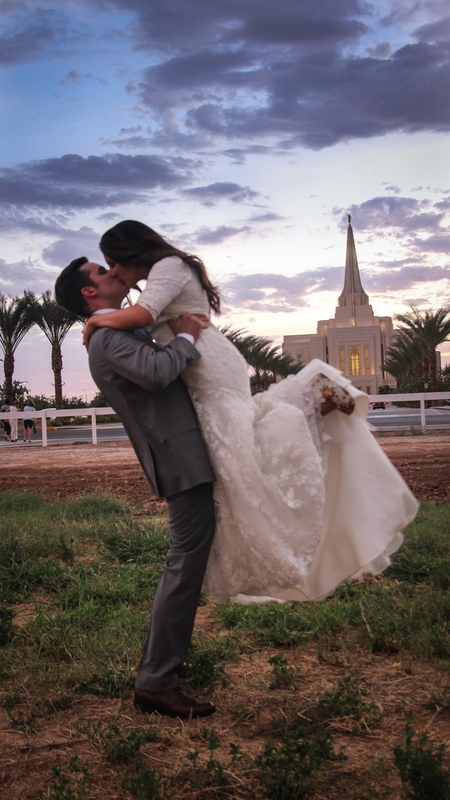 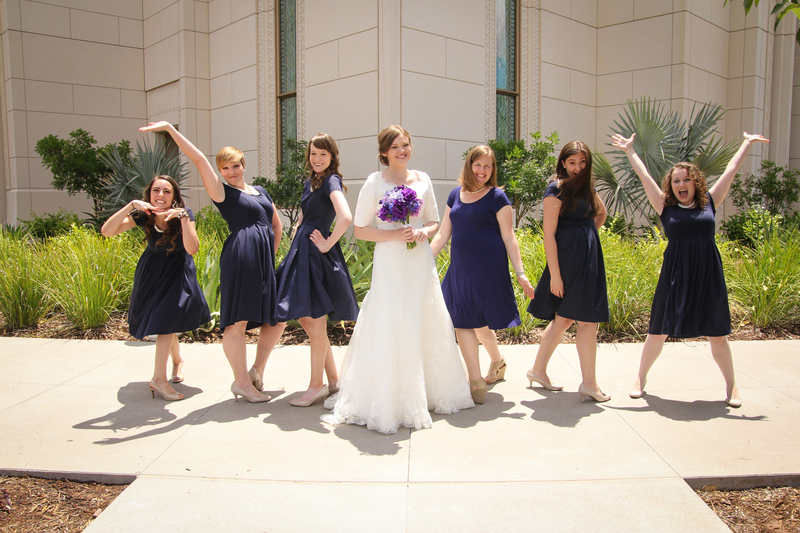 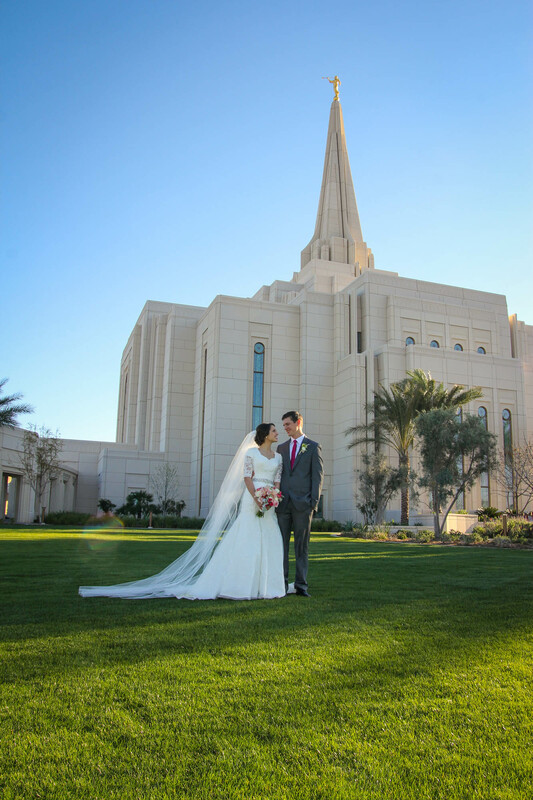 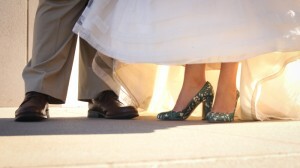 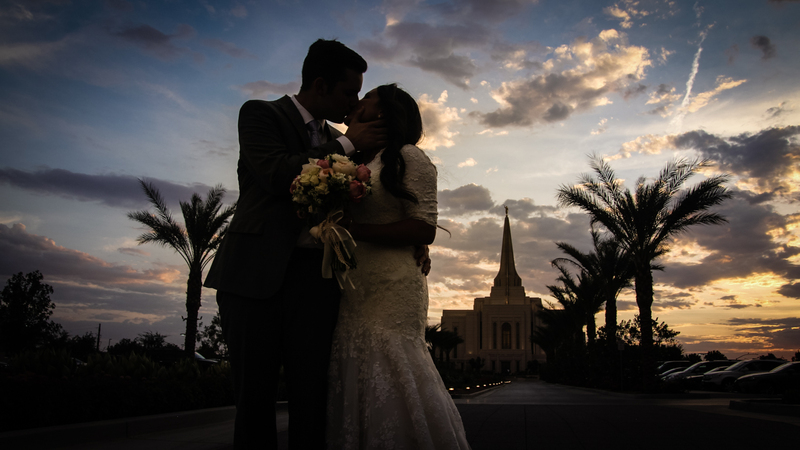 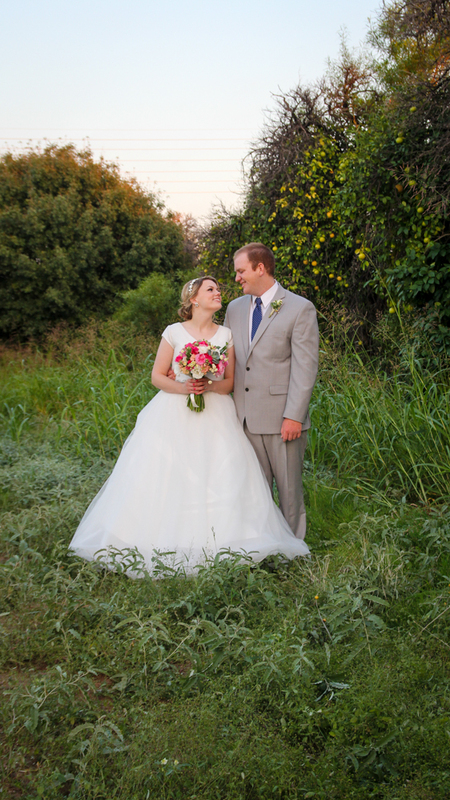 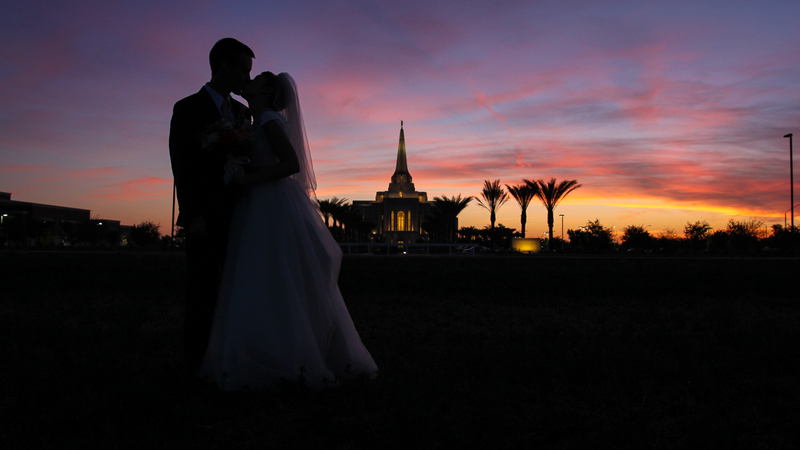 I think I might actually be the first photographer to take bridal pictures at the Gilbert AZ LDS Temple. 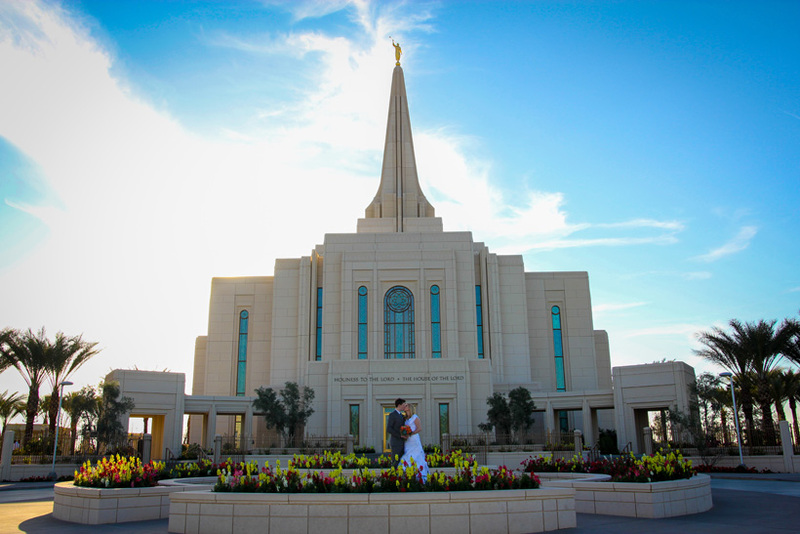 Although the Temple is not really done yet the outside is getting close. 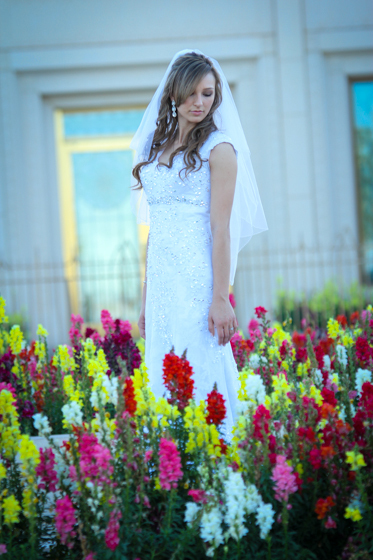 Modest Gown Rental in Scottsdale was needing to get some updated photos for their website and to showcase their bridal gowns so we met at the park across from the new LDS Gilbert Temple. 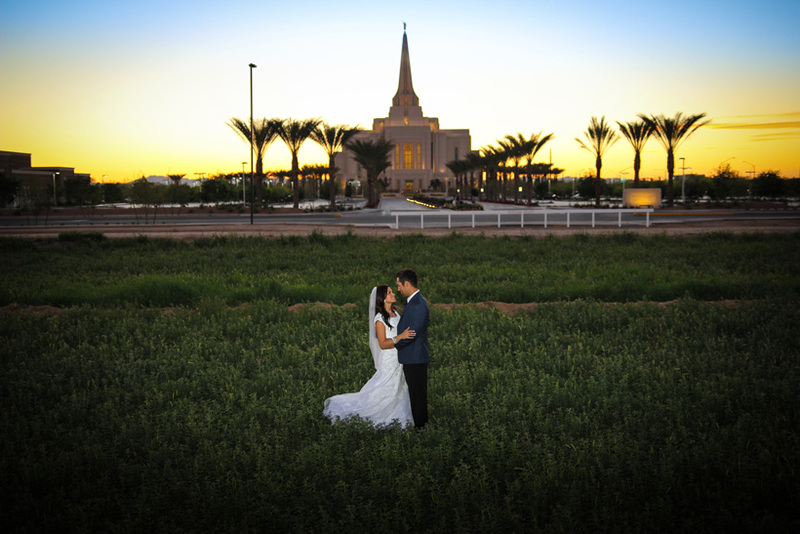 I managed to shoot at an angle that didn’t show any of the construction for this shot. 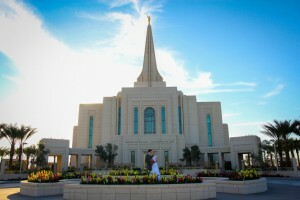 Can’t wait for the Temple to open in 2013.